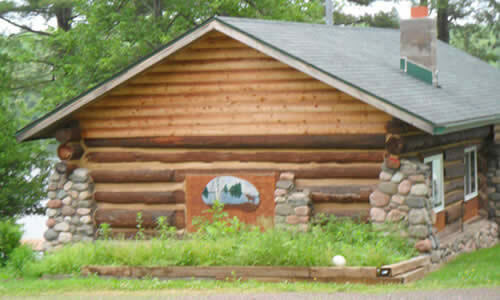 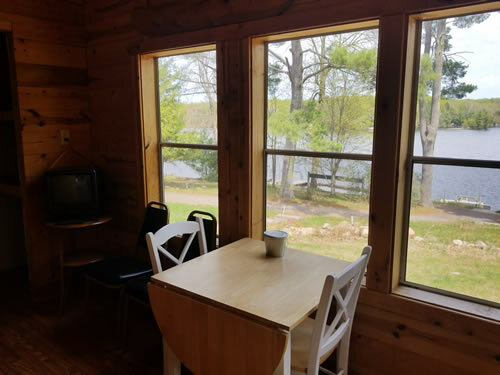 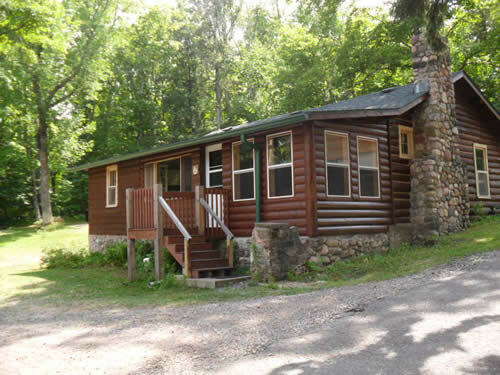 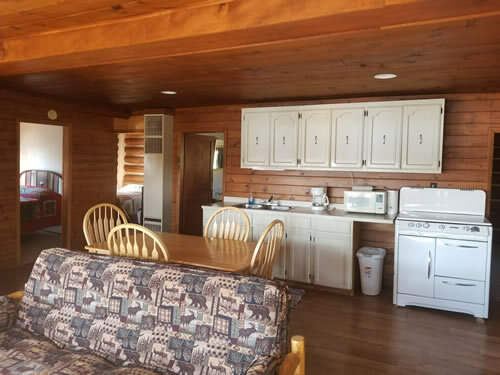 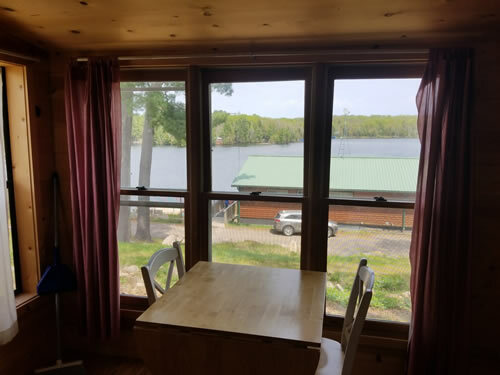 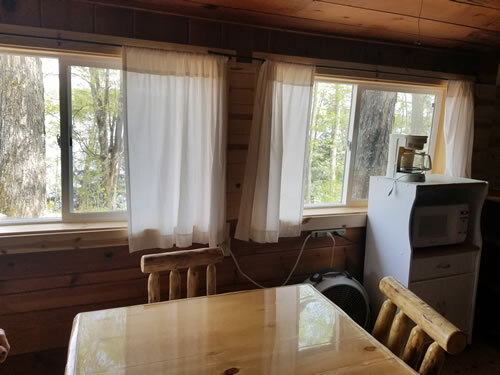 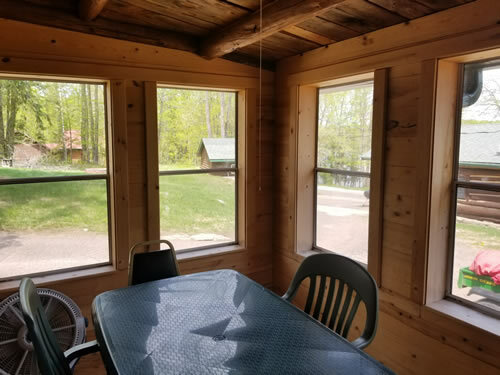 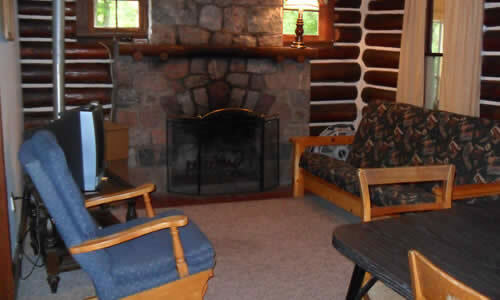 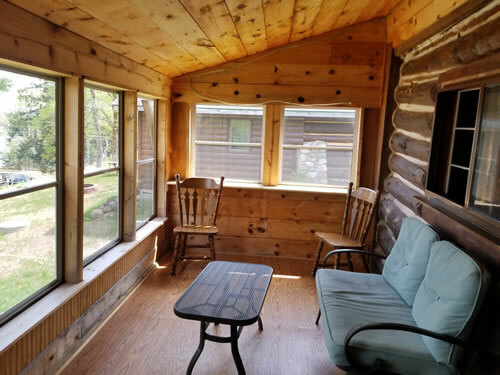 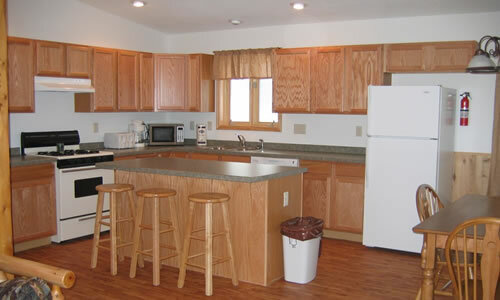 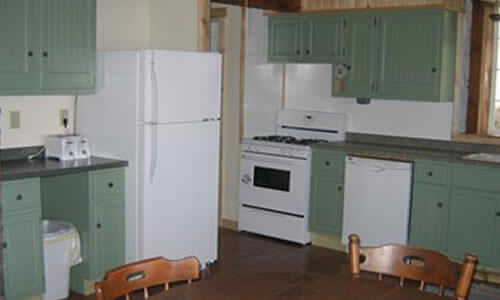 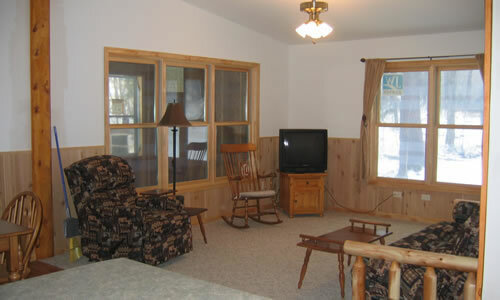 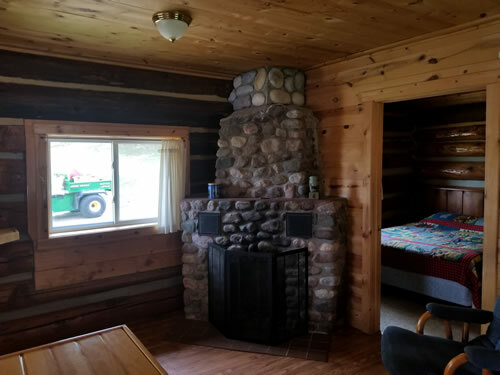 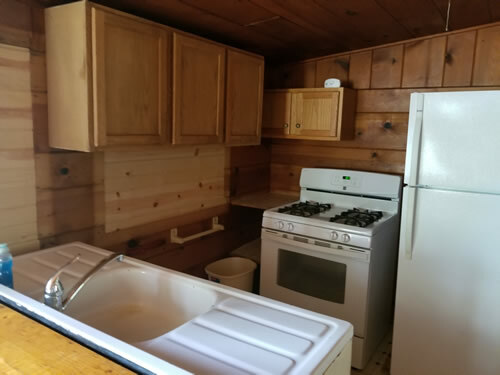 Virgin Timber Resort offers year-round accommodations in a peaceful northwoods setting, with seven original log cabins and one vacation home. 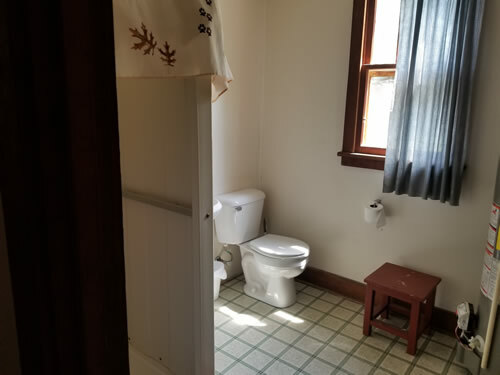 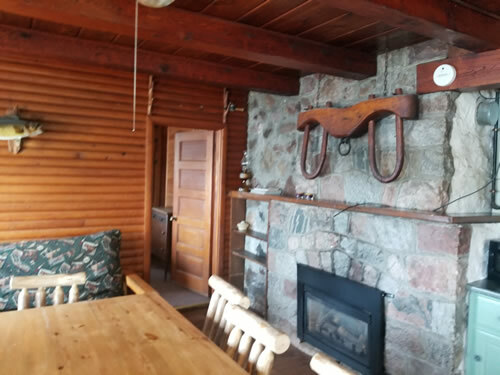 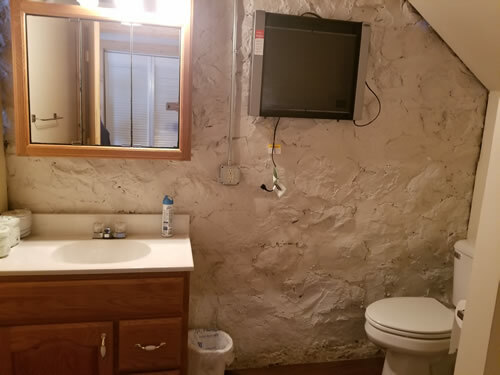 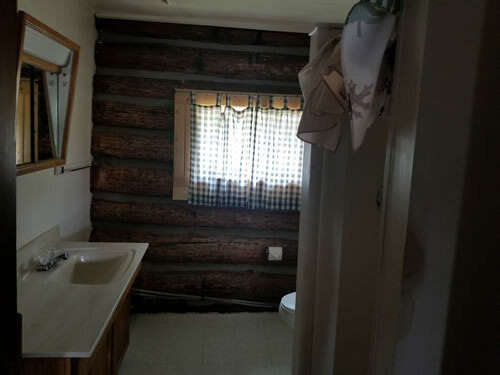 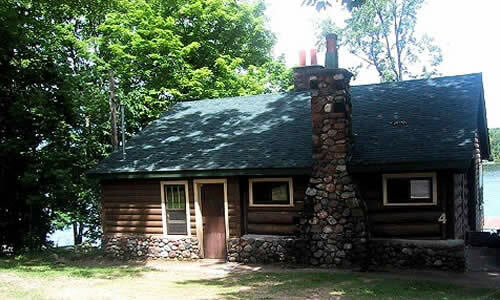 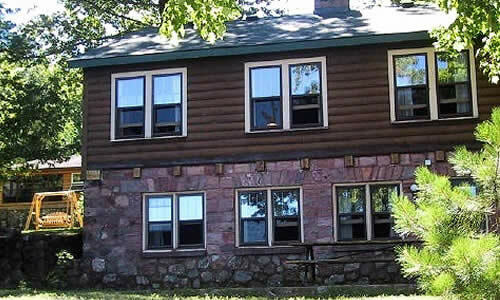 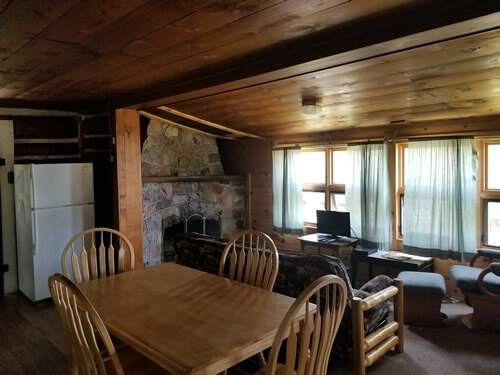 The seven original log cabins are authentic 1920s log cabins built from natural log and stone construction, each highlighted by a natural stone fireplace. 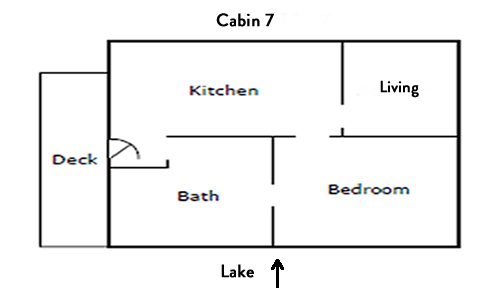 Beds: 2 Queens, 1 Double, 2 Twins, 1 Futon.